If you happen to love the all-natural cooler as much as we do, here is a list of five food options to pair it with, for perfect grub through the day. Juicy inside and crispy on the outside, fried chicken is flavourful and delicious. Whether it be Nashville-style hot chicken or pecan-crusted with mustard sauce or even the South Indian styled chicken 65, we cannot stop dipping our fingers in that big bag of fried treats. With layer upon layer of sauces, meats et al, this classic snack can be made in minutes. Two slices of bread and some creativity involving with everything that is in the fridge is all you really need. Roast pork, coleslaw, fried egg or marinated veggies – challenge your inner chef by stacking your favourite component between those slices (with oodles of cheese, of course). Pizza is the ultimate comfort food for us. Oven-hot or refrigerator-cold, there is no denying that we crave pizza at all times of the day. And, there are unlimited number of ways to perk up the slices as well. We suggest you get super cheesy with the toppings – a chicken skillet or bacon and egg or sun-dried tomatoes with pesto, corn and goat cheese. To assemble burgers that linger in our memories long after we have devoured them, keep them simple yet fulfilling with delightful patties. Spicy paneer, breadcrumb-coated fish or fiery chicken – balance the avalanche of flavours with some hot cheese and mayo for a timeless combo. Our mealtime favourite, this go-to Italian delight instantly satisfies our food pangs. The varieties you must definitely have in your table include Cajun chicken, pesto-shrimp and easy beef stroganoff. Who needs a reason to have a bowl of pasta? It always helps to have our comfort meal with some iced tea for max satisfaction. And, we recommend Lipton Ice Tea. Less sweet than those fizzy drinks and packaged juices (23% less sugar), be it Lemon or Peach flavoured – it’s a sure shot refreshing choice for us all. 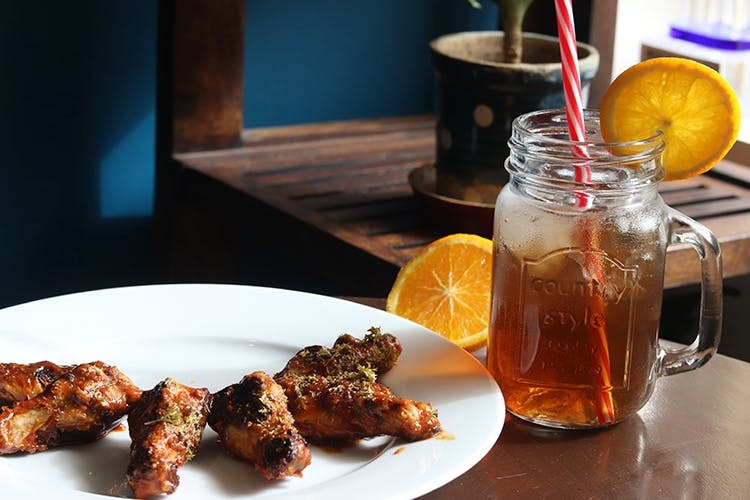 For more food pairings follow Lipton Ice Tea on Facebook & Instagram.